“They (killer herdsmen) are right now stationed at Nzorov council ward, ready to attack Gbajimba in the Guma Local Government Area." When will the killings stop? Members of the House of Representatives from Benue State on Thursday raised an alarm over fresh killings by herdsmen in the state. The lawmakers, who spoke at the National Assembly in Abuja, demanded full military presence in Benue communities constantly under attacks by herdsmen as against ad hoc operations such as the current Operation Cat Race. For instance, between April 2 and 4, the lawmakers said, up to 24 persons were confirmed killed in renewed attacks in the state, while several others went missing. 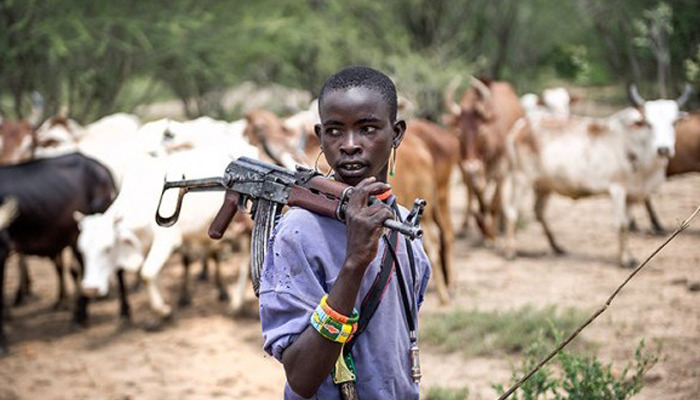 The lawmakers again called on the Federal Government to declare the herdsmen as “terrorists". ALSO READ - 2019: Are The Generals Ganging Up Against President Buhari? Four members, Dickson Takighir; Mark Terseer-Gbillah; Samuel Udende; and John Dyegh, who spoke for the Benue Caucus, alleged that some of the killings took place with no response from security agencies. The lawmakers also described as strange the sudden termination of the Operation Cat Race in the state by the military, while it was extended by more weeks in neighbouring states, including Taraba. The lawmakers stated that these killings took place despite the military Operation Cat Race.